If you managed to keep your lawn in perfect condition this summer then we commend you! For most people this was a difficult summer for lawns as concerns about nearly everything that could negatively affect grass were plaguing people all over the country. From drought to rain to crabgrass, fungus and insect damage, your yard has most likely been through the ringer since the spring season came around this year. So how can you bounce back from all the damaging effects nature caused in the past few months? We can help! When it comes to crabgrass, you should be noticing by this time that it is beginning to diminish. Use a rake to till the ground where the crabgrass is and was present. 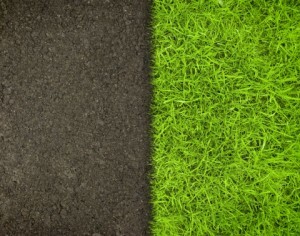 Once the crabgrass has been taken from the ground feel free to leave it in the yard, but put some grass seeds over it. The old crabgrass will work as a natural fertilizer and the new grass will begin to grow even into December. Areas of your yard where the grass has died will also need to be reseeded as the turf will not grow back without this process being completed. Another tip is to fertilize your lawn not once, but twice to ensure it will flourish once it begins to grow again. Try fertilizing once now and one more time in early November. You can also keep you lawn looking great by continually raking any leaves that may fall into your yard. Letting dead leaves sit on the lawn will only lead to the grass suffocating and dying. 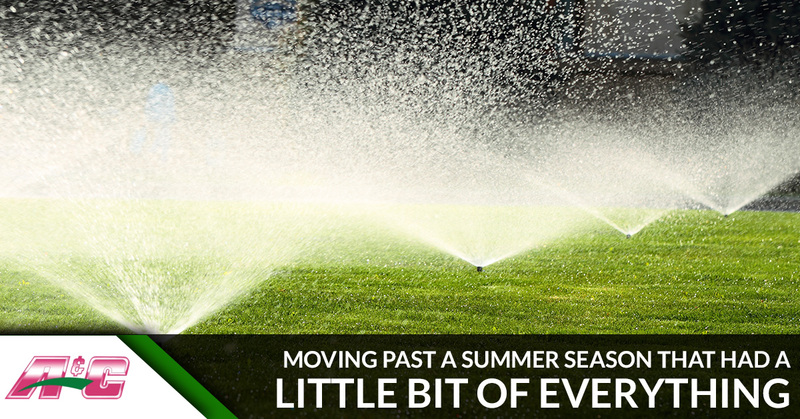 The experts at A&C Sprinkler LLC know how to ensure you have the best lawn possible even when it doesn’t involve irrigation systems. Give us a call if you have questions or if you would like to prepare your lawn for winter with a Sprinkler Blowout.